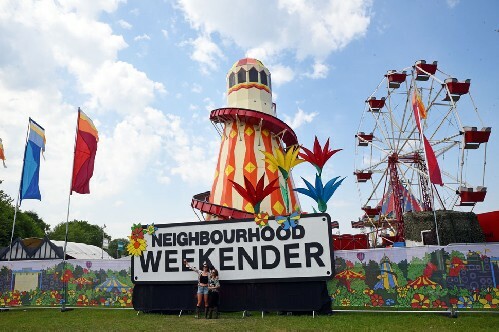 The inaugural “Weekender” arrived as a big brother / sister to Manchester’s successful Neighbourhood Festival and follows the template of being indie based with a northern flavour. 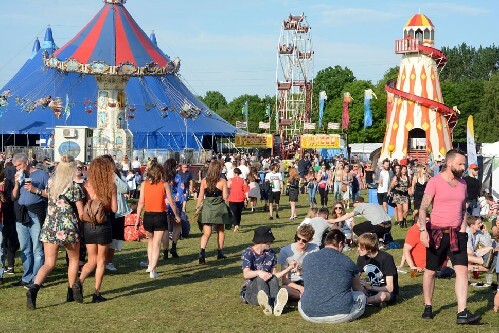 Based in Victoria Park Warrington, those with long memories may recall the venue as the location for the original V Festival in the mid 1990’s. Overhearing a number of conversations on Sunday between people who attended that event 20 plus years ago one couldn’t help wonder whether the demise of Stafford's V Festival was also partly the impetus for the new festival. Whatever the motivation, the event was undoubtedly a financial success. With Manchester heroes The Courteeners and Noel Gallagher as headliners, 25,000 tickets for each day sold out within 40 minutes and a follow up event for 2019 has already been announced. Kicking off stage 2 on Saturday were Yonaka. Having seen them play an uninspiring set at Reading last summer my expectations weren’t high but their performance was a revelation. Their self-confidence and stage craft have grown immensely and they delivered one of the performances of the day to a really responsive crowd. Early afternoon on the main stage saw Fickle Friends and The Big Moon play workmanlike sets but fail to really rouse the audience. It wasn’t until Reverend and the Makers Jon McClure took to the stage that things came to life. Beginning a pattern for things to come it soon became clear that the majority of the audience had come to enjoy rabble rousing music with big choruses that they could sing along to. Circa Waves and Miles Kane maintained the upbeat momentum with the latter delivering an impressive performance with a degree of edge and urgency. Mid-afternoon on stage 2 brought us the self-effacing Lewis Capaldi who introduced himself as, “an act for lovers of pale, podgy guys.” In reality he has a great voice and delivered an impressive set. By contrast, fellow Scot Gerry Cinnamon played a similar slot the day after. Armed with acoustic guitar, ego and backing tapes, he got a far better reception. Back on the main stage, Jake Bugg’s set began slowly, seeming to lose the momentum generated by previous acts. The performance saw him return to an electric band after recent solo acoustic excursions and it was pleasing to see how his guitar playing has developed. The initial lack of audience reaction was clearly down to lack of familiarity. As soon as he interjected songs from his first album, mass singalongs ensued and the crowd were won over.  There is understandably apprehension surrounding organisational capability whenever a new festival is launched. The Neighbourhood Weekender suffered no such birth pangs. This was a really well organised event and it was pleasing to see that time and care had also been taking in “dressing” the site to make it look good. Bars were plentiful with little excessive queuing, there were seating areas, some fairground attractions and a variety of food outlets. As always there were some gripes about food and drink prices but in reality they were in line with most festival and cheaper than some. Plenty of toilets were in evidence and seemed to cope well apart from a period early on Sunday evening when demand definitely exceeded supply! The site was long and narrow which generated occasional overcrowding as people moved between stages at peak times but the audience on Saturday must rank as the most polite and courteous I’ve experienced at a festival for a long time, generating a really pleasant atmosphere. The only real issues to occur all weekend arose early on Sunday evening when The Pigeon Detectives drew a vast audience on Stage 2, creating gridlock as others tried to move between bars and toilets in the same corner of the arena. Your reviewer found it impossible to get anywhere near the tent to review or photograph and it’s probably the one area of the site that needs changing before next year’s event. Having seen The Courteeners on several occasions I remain perplexed by the audience reaction that they generate. They have a repertoire of pleasing, chorus based songs which are always delivered with professionalism and Saturday night was no different. Yet their arrival on stage is met by hysteria, frenzy and mayhem. Within seconds the air was thick with dozens of flares and through the miasma could be seen thousands of hands aloft and bodies perched on shoulders. And so it continued for 90 minutes; a typical Courteeners gig in the north, leaving their audience ecstatic and baying for more. It’s a real pity and no fault of the organisers that the day ended in chaos for a significant number of festival goers. A rail strike and Northern Rail looking increasingly like a company not fit for purpose left many relying on public transport stranded or being charged exorbitant prices by local taxis firms. Musically, early Sunday afternoon felt like a re-run of Saturday. Sea Girls who I’d never heard of, played a great set to a growing and very appreciative audience on stage 2 while on the main stage, Black Honey and Tom Grennan failed to really engage the crowd. It wasn’t until the arrival of DMA’s (basically an Australian tribute band for 1990’s Manchester music ) that things came to life. This wasn’t really surprising considering the audience. 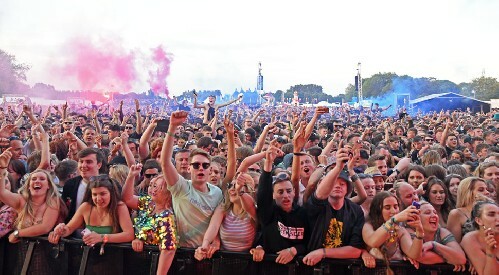 The core was mostly aged between 25 and 50 with a greater emphasis of age during Sunday where a proportion were clearly there to re-live the musical tastes of their youth. The prospect of The Sherlocks and Blossoms didn’t inspire; the chorus of an early Stereophonics song referencing a tramps vest comes to mind. It was time to sample some different sounds. Beth Ditto was certainly different and has stage presence and a great voice but after 30 minutes I was left hoping for a little more variety in pace of material. There were no such disappointments with Stage 2 headliners Editors who delivered a blistering, intense set that was by far the musical highlight of the weekend for your reviewer. It’s also worth saying that whoever was responsible for lighting on the second stage did a superb job enhancing the experience for both bands and audience. Named after locals, “Viola Beach,” the third stage offered some real highlights across the two days. While most wandered past en route between the two main stages, those who stopped to watch and listen were amply rewarded. It was a nice touch to open Saturday with Warrington band BlackWaters who acquitted themselves well. Contrasting headliners, King No One and The Blinders both impressed and look likely to feature on much bigger stages in the future. Hey Charlie with their matching hair and clothes (are they related?) stood out on Saturday while Stereo Honey and Anteros with the visually charismatic Laura Hayden, were Sunday highlights. And so to Sunday headliner Noel Gallagher and his High Flying Birds. . . Personally, I really like his most recent album, seeing it as a sign of musical progression and I was rewarded with a set including six new songs. He delivered a really enjoyable set but I’ve seen him several times in recent years and I seem to be writing almost the same review of each gig while feeling increasingly sorry for the guy. Predictably, the stage was set by a conversation between a group in their mid-forties on Sunday afternoon which ended with, “Well, his new stuff’s alright but we’ve paid to come and hear Oasis.” And so it came to pass. Solo material was greeted with polite applause while Oasis songs (there were 6 or 7) brought huge booming singalongs and 25,000 people went home happy; although possibly not as happy as they would if he’d played a whole set of Oasis.